Let us help you build your family! Whether experiencing infertility due to prior illness, chromosomal abnormalities, early menopause, premature ovarian failure, or poor egg quality, hopeful parents are often able to become pregnant by undergoing IVF using eggs donated by a young woman. 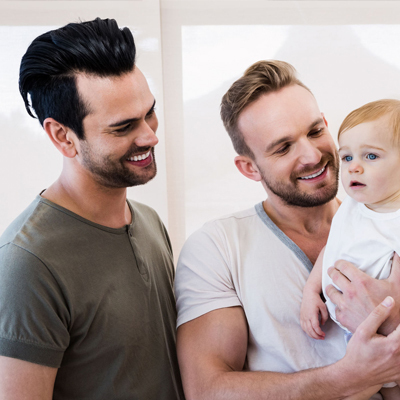 We are also pleased to help the LGBTQ community with their family-building needs. At Beverly Hills Egg Donation, we connect outstanding young women who are willing and able to give this life-changing gift with intended parents looking to build a family. Our program includes comprehensive screening, education, and cycle management — all provided with the highest levels of professionalism, confidentiality, empathy, and support. Unlike many other egg donation agencies, we interview every egg donor prior to adding her to our database — we don't believe that relying on photos and an online application is enough. We require that our donors provide documented proof of the information in their profiles, including degrees and GPAs. If an egg donor is in our database, you can be sure that we have met her and that she has passed our stringent evaluation process. We’re here to support you whether you’re exploring egg donation as a couple or as a prospective single parent. We believe it’s important to include spouses, partners, and any other interested family members in the process. Our “whole family” approach to egg donation is unusual among egg donor agencies, but we wouldn’t do it any other way. Intended parents and egg donors often feel anxious and vulnerable. The emotional toll and financial burden caused by infertility mean that a high level of compassion is required at all times. And clear information, provided promptly, is critical — a missed appointment or injection can mean a canceled or delayed cycle. At BHED, we understand all of these issues, and our staff is adept at helping you navigate each stage of the process. Our goal is to ensure that you have a safe, satisfying and successful experience. The process begins online and then is custom tailored to suit your needs and comfort level. After familiarizing yourself with the information here, take a few minutes to register online. Once your registration has been received and your contact information confirmed, you will receive an email notifying you that you have been granted access to our egg donor database. You will have your own secure online account that allows you to keep a list of the donors you are considering and organize it by your level of interest in each donor. When you have found a donor, simply let us know so we can confirm the donor’s availability for you. Once confirmed, we will email you the documents you need to make the match official, including an agency agreement, cost sheet, and payment instructions. As a BHED Recipient you will have your own secure online account that enables you to keep a list of the egg donors you are considering and organize the list by your level of interest in the donor. While you are searching egg donors, you can make notes, rank donors, or ask any questions you wish -- all from your account. BHED staff can also post information for you alerting you to new donors that might fit your criteria. There are many things to consider when choosing an egg donor. One of the most important questions, and one which few agencies address, is how to determine exactly what you’re looking for in a donor. • Which attributes are dominant (i.e., which appear in the resulting child) are just as likely to come from the sperm side of the equation as from the egg side. In addition, these attributes might come from previous generations. A donor is only part of the equation, and there are no guarantees that the child will look just like her. • Many of the recipients we work with seek a donor who matches their physical qualities as closely as possible. Some also look for a donor with similar educational background or hobbies, to help them feel more connected to her. • One of the nice benefits of egg donation is that you can offset (and often negate) genetically linked diseases and syndromes via the process. In other words, if there is a disease in your sperm provider’s family from which you would like to spare a resulting child, make sure to choose a donor who does not have that particular disease in her family. Please discuss this with us so that we can probe deeper into your prospective donor’s family medical history. Please let us know if you’d like to discuss your search criteria further. Along with our psychological and genetic counselors, we’d love to help you to explore your options so you can make the decision that’s best for you. When you have found your donor, your coordinator will contact the donor to confirm that she is available during your desired timeframe. Once we have her confirmation, you will be emailed information including your contract with BHED to sign and return to us via email or fax, a confirmation of your donor's fee, and a credit card authorization form. Please note that we are able to hold donors for 48 hours after we send you this information. Once we've received your signed contract and processed your agency fee, you will be contacted by one of our cycle coordinators, who will become your day-to-day contact throughout the process. She will forward your donor’s information to your doctor. If you have chosen a first-time donor, your cycle coordinator will ensure that the donor’s psychological and genetic counseling consultations are scheduled right away. The psychological screening is a face-to-face process which includes a personality test (PAI) and interview to assess the donor’s motives and suitability for donating. Rule out any personal or family history of substance abuse/mental illness. Rule out any obvious psychological distress which could interfere with the donor's ability to fully understand or follow through with her commitment to donate. Obtain information on the donor's family history and relationships. Understand the donor’s motivation for becoming an egg donor. Ascertain whether or not the donor is proceeding with the egg donation with the knowledge and/or support of meaningful people in her life. Determine how the donor is thinking and feeling about her genetic material possibly creating a child. 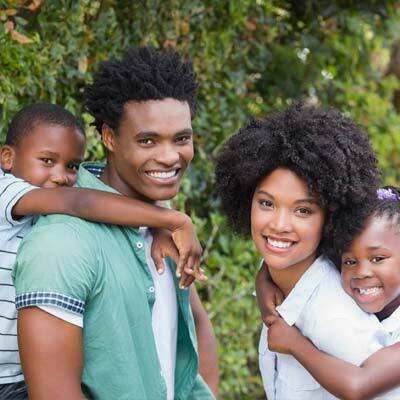 The genetic counseling consultation is an interview with a professional genetic counselor to obtain a detailed personal and extended family medical history. The counselor will make recommendations in a written report which will be submitted to your doctor. Once the psychological and genetic counseling appointments have been completed, the donor will have a full medical screening with your doctor. This screening typically includes a pelvic exam, ultrasound, hormonal bloodwork, drug and infectious disease testing, and genetic testing. After all of the screening results are in and reviewed, the donor will be medically cleared to proceed with the cycle. You will then proceed to enter into a legally binding agreement with the donor. This contract sets forth each party’s rights and responsibilities. You will need to hire an attorney who specializes in reproductive law to draft the egg donor contract for you. Your attorney will draft the contract, which will include sections on donor compensation, medical testing and procedures, donor and intended parent conduct, insurance, and parental rights. After you have approved the contract draft, it will be sent to the donor’s attorney to review with the donor. Once the contract has been signed by both you and the donor, your attorney will issue a legal clearance letter to your clinic, advising them that all parties have consulted with an attorney and have been fully advised of their rights and responsibilities. The donor will not be permitted to start injectable medications until the clinic has received this document. The legal process typically takes approximately two weeks to complete. After the clinic receives legal clearance, they will put together the cycle calendar, which will be sent to you and the donor for approval before the dates are confirmed. Q: How can I be sure that my identity remains confidential in the contract? Donor and intended parent identification numbers are typically used in place of full names. This ensures privacy for everyone involved. Q: What are the legal responsibilities of egg donors and recipients? While the laws vary from state to state, overall it is extremely clear that children born as a result of egg donation legally belong to the intended parent/s receiving the donated eggs. The recipients assume all legal, moral, and financial responsibility for any child born from the egg donation. 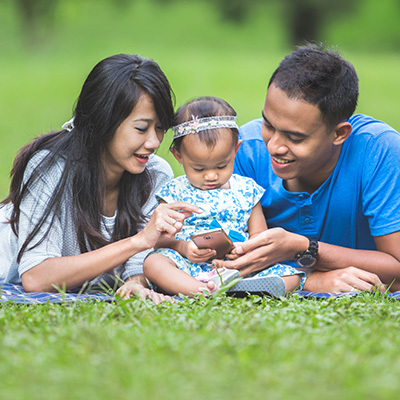 Egg donors have absolutely no parental rights or responsibility for the future welfare or support of donor-conceived children. Q: How much does the legal process cost? Fees vary from attorney to attorney, but typical costs range from $750 to $1,500 for the intended parent’s attorney to draft the contract, and $400 for the donor’s attorney to review it with her. You will pay the donor’s legal fee through BHED, as well as your own legal costs (paid directly to the attorney you select). For your convenience, we are happy to provide you with a list of attorneys who specialize in reproductive law. As with all aspects of the egg donation process, finding the right professional is an individual process. We recommend that you speak with several reproductive attorneys to see with whom you feel most comfortable. Please note that the above is for informational purposes only and is not meant to be a substitute for legal advice. BHED requires that all donors and recipients receive legal representation by a licensed attorney prior to the donation procedure. The donor will take injectable medication to stimulate egg production for approximately nine to 12 days leading up to the egg retrieval. The exact number of days depends on your donor’s individual response to the medications. It is important to remember that every cycle is different and that each doctor has his or her own protocols. The retrieval is an outpatient procedure that typically lasts 30 minutes and is done under anesthesia. After the retrieval, the donor will be required to rest for at least the remainder of the day. How old are your donors? Will I have the opportunity to meet my donor? Have you met all of the egg donors in your database? Do you share donors with other agencies? Can you describe how you screen your donors? How can I search for donors with superior academic backgrounds? Do you have medical advisors? What happens if my donor is not medically cleared by my doctor? How does the waived agency fee work? How long does an egg donor cycle take? I am new to the egg donor process. How do I get started with Beverly Hills Egg Donation? Q: How old are your donors? All of our donors are over the age of 21, which sets us apart from many other egg donor programs. We believe that donors younger than 21 may not be sufficiently mature to complete the process. Q: Will I have the opportunity to meet my donor? In-person meetings will not take place unless both parties agree. We will also coordinate telephone meetings if both parties wish to speak with each other and still remain anonymous. Q: Have you met all of the egg donors in your database? Yes, we interview all donors in person if they are in the Los Angeles area. If they are outside the LA area, they are interviewed via Skype video call. Q: Do you share donors with other agencies? Our donors are exclusive to our program, by their choice. Our donors work with us because we value them and their thoughts, and we give them the opportunity to express themselves throughout the process. In the application phase, they are asked to write an essay, which you can read in their individual profiles. 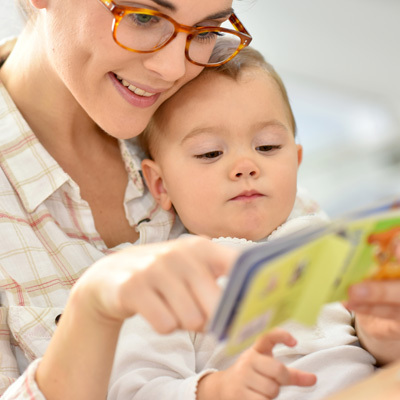 The donors are encouraged to explore whether or not they are comfortable with future contact with intended parents and donor-conceived children. Our hope is that the donor and intended parent(s) will find a way to communicate that is satisfying for both parties. Q: Can you describe how you screen your donors? Generally speaking, we seek out donors with post-high-school education and good personal and family health histories. The online process is broken into two sections. The prescreen application consists of questions regarding age, education, height/weight (to determine BMI), travel to Zika-affected regions, and FDA-related medical information. If the donor passes the prescreen, they are invited to complete our lengthy and thorough application. This application includes personal and family medical background, reproductive history, education and occupation information, likes and dislikes, thoughts on future contact, and an essay. The application is reviewed by our donor recruitment team and discussed with our medical advisor if necessary. The application must be completed in a timely manner. If the donor’s application is approved, she is invited to interview with our donor recruitment team. For these donors, we obtain proof of identity, copies of transcripts from four-year universities, copies of ACT or SAT scores (if they fall within our parameters for academic achiever status), and graduate school admission letters or tests. Prior to being listed in our database, the donor is asked to get a STD test and provide us with a recent PAP test. We also offer complimentary AMH testing for our donors. The AMH result is one of the predictors of a donor’s response to fertility medication. Our screening process is lengthy and comprehensive to give you peace of mind that our donors have been meticulously vetted. We activate approximately one out of 10 donors who start our application process. Q: What will your program cost? Costs are outlined in the cost tab of this website. We are also happy to provide cost sheets for the specific donors you are interested in. Q: How can I search for donors with superior academic backgrounds? You can narrow your search to Academic Achiever and/or High Achievers. Q: Do you have medical advisors? 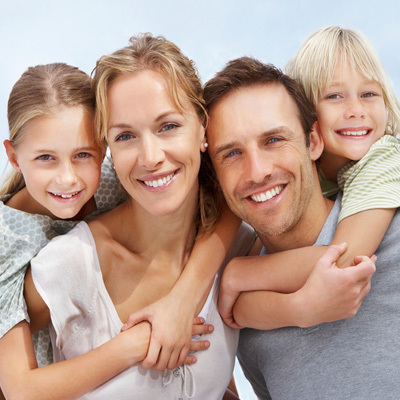 Yes, we regularly consult with reproductive endocrinologists and genetic counselors. Q: What happens if my donor is not medically cleared by my doctor? We will work with you to rematch you with another donor. If you cannot find a suitable rematch, we will refund 75 percent of the agency fee. Q: How does the waived agency fee work? If your cycle does not result in a live birth and you have used all normal embryos, we will waive the agency fee for a second cycle. Q: How long does an egg donor cycle take? Timing varies due to a number of factors, including your doctor’s schedule. For a first-time donor, it typically takes 90 to 120 days from the time of the match to the egg retrieval. For a previous donor, it generally takes 60 to 90 days from the time of the match to the egg retrieval. Q: I am new to the egg donor process. How do I get started with Beverly Hills Egg Donation? Please click on “Become a Parent” to complete our short online registration form. When you’ve completed your registration, we will activate your account and give you access to our donor database. If you would prefer that one of our team members provide you with donor profiles based on your criteria, or if you would like to schedule a complimentary consultation, please contact our office.